“We pledged, back then, that when we had kids the right age (grade 12 and university/college), we would make sure they got there. And we have. Three years ago our oldest son made it there. And came back refreshed and challenged. This coming year, Urbana 2015, he will go again along with his younger sister, in her grade 12 year. In three years we will make the trek again with our youngest. Visit the Faith Today Blog to read more about Karen’s perspective on Urbana and discover why the magazine is underwriting the cost of the conference for a student! Dreaming God’s dreams for this world. Written by Steve Colby, Director of Inter-Varsity Missions. In just under 300 days, the largest megaphone for missions in North America begins – Urbana 15. Were the dreams I was dreaming God’s dreams for my life, or were they my own? As I listened to Dan Harrison talk about the collapse of the Berlin Wall and the new opportunities that were emerging in Eastern Europe, I began to wonder at the wide window God had opened. I thought it was a great opportunity for students who spoke Russian, but didn’t think much beyond that. Um… Hello? Are we not going to talk about this first? “For richer for poorer, in missions, in sickness or in health,…” Where is Bulgaria anyway? And how do we know we are called to go? Abraham may have heard a voice — but what about us? I didn’t hear a voice. I didn’t respond to a dream. But I did remember that speaker at Urbana talking about “Dreaming God’s dreams for the world.” And I realized that this is the sort of thing God is all about: sending folks without a lick of language ability or geographical knowledge to a foreign country to share the gospel. 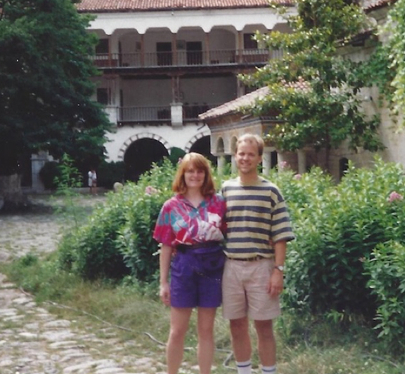 Steve and his wife, Susie, at the Rila Monastery, Bulgaria (1991). He did the same thing with an ancient man from Sumeria. “By faith Abraham went…though he did not know where he was going,” Hebrews 11 tells us. Abraham’s story captures our interest and draws us into his unusual pilgrimage of faith. He heard God’s voice and he went, and God reckoned this as righteousness. But why is going so important? And what if you are called to stay? Abraham’s own father Terah demonstrates why staying put is often not enough. Terah uprooted his family from Ur, intending to go all the way to Canaan, but he stopped short and settled in Haran. Why? Terah had even named one of his sons ‘Haran,’ but by the time they arrived in Haran this son had died. Was it the grief that stopped him, or the difficulty of leaving Ur and relocating with Sarah and Lot? Or did he always intend to leave, but just never got around to it? Years of intention finally gave way to the familiar, making it harder and harder to uproot and leave again. The call of God to His mission involves a key response: Our going. You might be called across the world or you might be called across town. It’s not about accumulating frequent flier miles in missions. It’s about saying “Yes” to God’s invitation wherever He takes us. We leave our familiar world and enter an unknown community, seeking to know and make known His gospel. At Urbana 15 more than 16,000 students from all over North America and the world will gather in St. Louis, MO to hear from God and find their life in His global mission. Go and learn of God’s dreams for the world, and then live them! 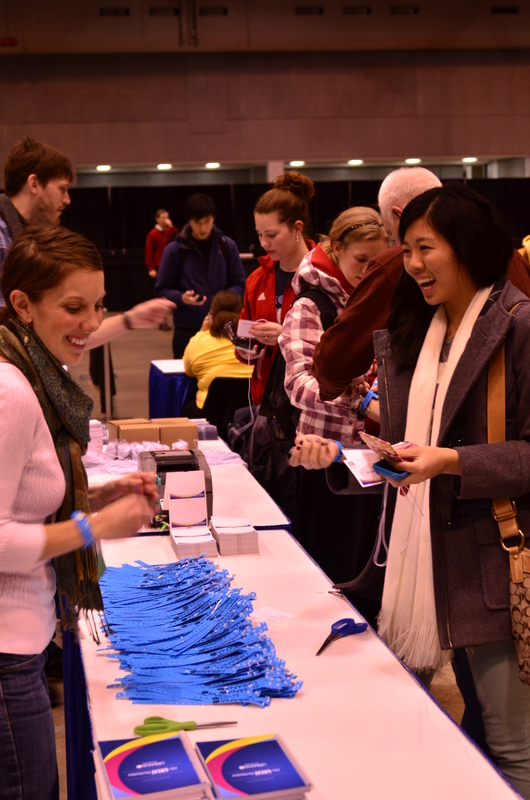 You can find more information and register for Urbana 15 at www.urbana.org. What makes young people excited about faith? The emerging generation of young adults love to serve and care for others around them. Their faith becomes tangible as they work for social justice. According to the Hemorrhaging Faith report, seven out of 10 committed Christian young adults said their faith came alive because they participated in a mission trip. When young people take what they learn in Christian community and apply it to mission, they become partners with God in influencing the world. Take a look at Joanne’s story. 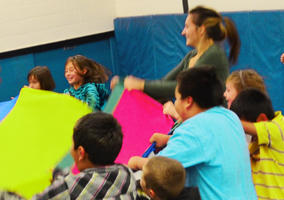 She explored God’s call to mission at the Urbana 12 Student Missions Conference and responded to his invitation to work with First Nations people in Central Manitoba. “I decided I wanted to give the first fruits of my time and work after university to God by doing full-time missionary work,” she says. Take a look at Aidan’s story. 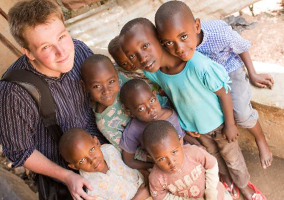 When he sought a concrete experience of God after high school, he packed up his photographic equipment and headed to Africa to capture the work of a Christian non-profit organization on film. Read the stories of Joanne and Aidan, who are partnering with God in mission to influence the world.